Services @ Baseline Landscapes LLC. We’ve grown to become one of the top companies in the Portland Oregon landscaping market because our goal has always been to provide the best quality landscapes around. With Baseline Landscapes on the job you can be assured that all of your landscaping and irrigation needs will be taken care of in a timely and professional manner by one of the more experienced landscapers in the area. When choosing a landscape contractor to work with, you want a landscaper who you can trust and depend on. 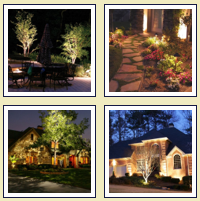 Baseline Landscapes has built our reputation on quality work, trust and dependability. We’ve been landscaping Portland Oregon area homes for 15 years now and provide regular weekly lawn maintenance for over 240 landscapes throughout the Beaverton Oregon and SW Portland area. We are consistently rated as one of the top professional landscaping companies in the Portland Oregon area. If you’re looking for a landscape designer, a landscaping company, an irrigation contractor, or just a weekly lawn care service, call Baseline Landscapes first. We are located in Beaverton, Oregon and have extensive experience landscaping Beaverton Oregon and SW Portland area homes for over a decade. Baseline Landscapes is now able to accept payment for services via our own Merchant Services account. If you do not want to pay via PayPal, this option is for you. No login is required. Baseline Landscapes is also able to receive your payment securely online through PayPal for any service invoices. Click the below Pay Now button, and you will be taken to PayPal for a secure checkout.